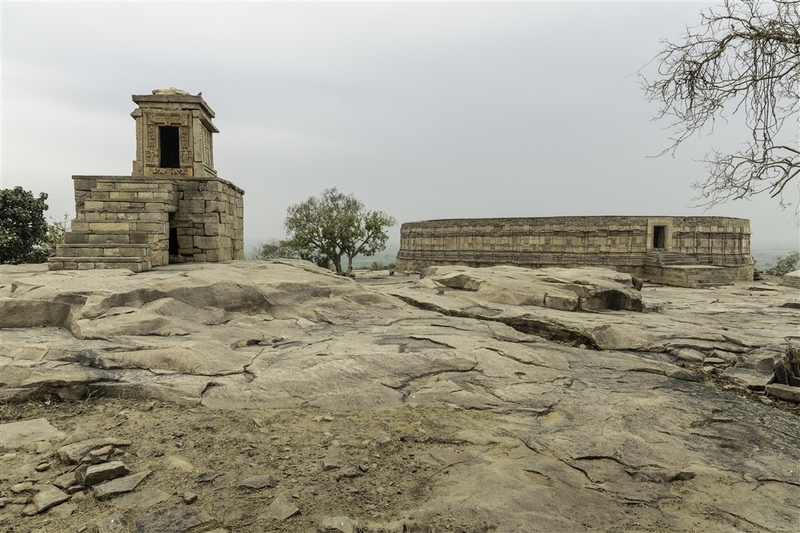 Also known as the Chausath Yogini temple, the Ekattarso Mahadeva Mandir is located in the small quiet village of Mitaoli (also spelled Mitawali or Mitavali), 40 km north of Gwalior and 15 km east of Morena in Madhya Pradesh. 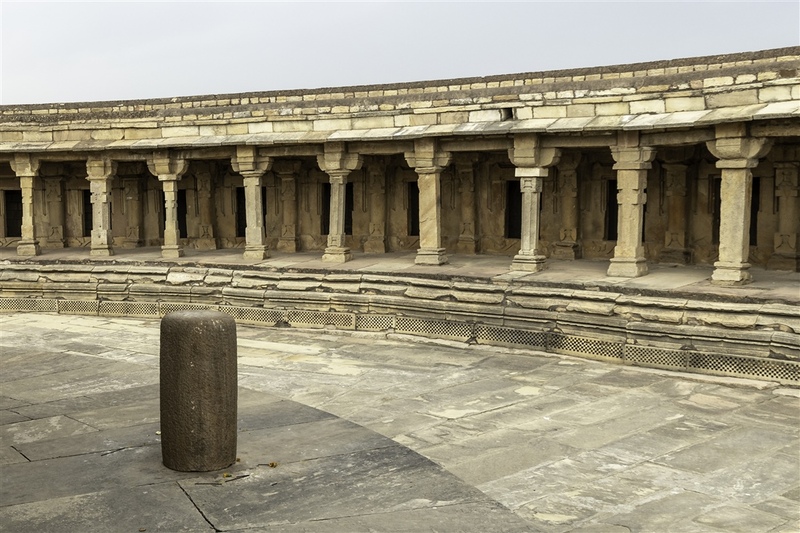 An inscription dated to 1323 AD records that the temple was built by King Devapala of the Kachchhapaghata dynasty sometime in the 11th century, and it is thought that its purpose was to provide education in astrology and mathematics, primarily based on the transit of the sun. 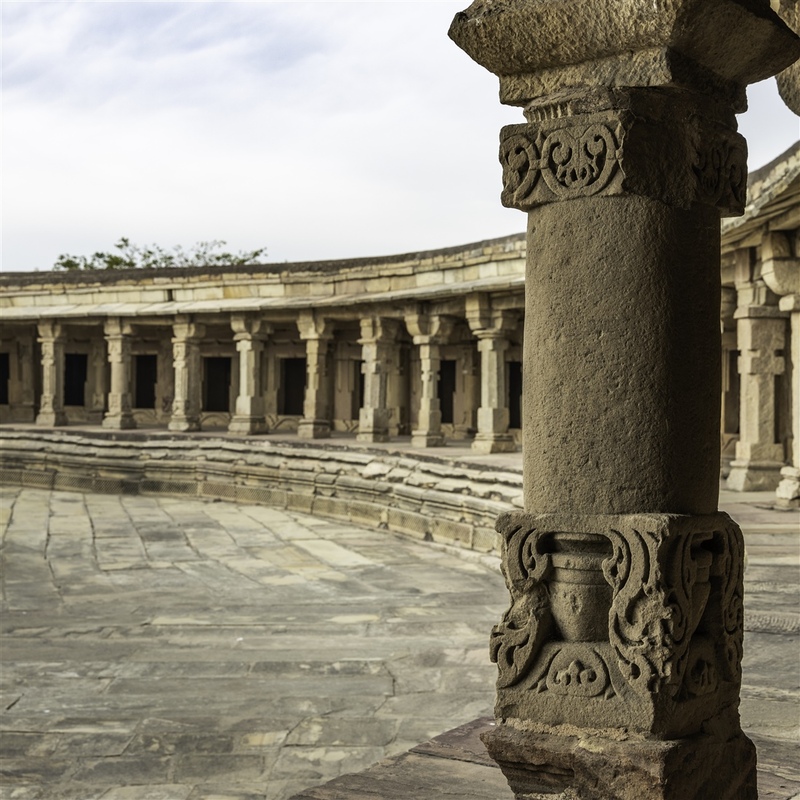 There are around fifteen Yogini temples in India, almost all of them are circular in plan. 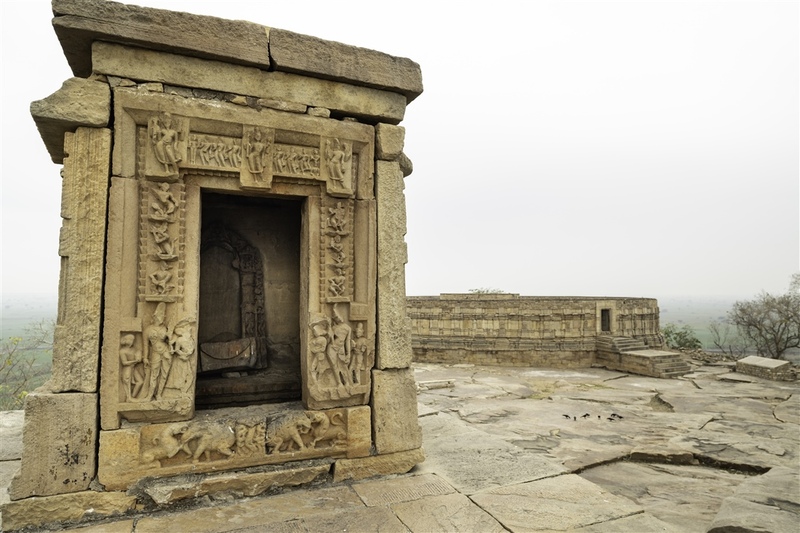 The only exception to this is the Chausath Yogini Temple at Khajuraho, which I visited last year, and is rectangular in plan. 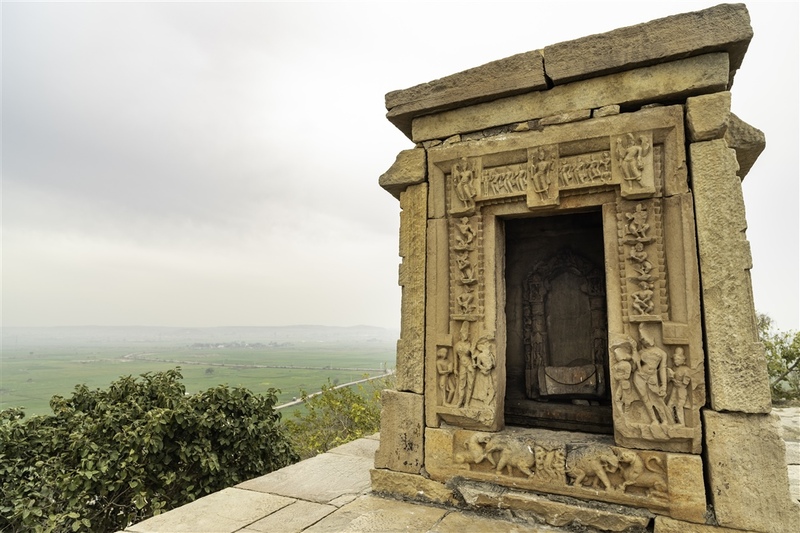 Perched on top of a 30m high hillock, the monument has commanding views across the surrounding plains, and a quick hike up 100 steps will take you to the summit. 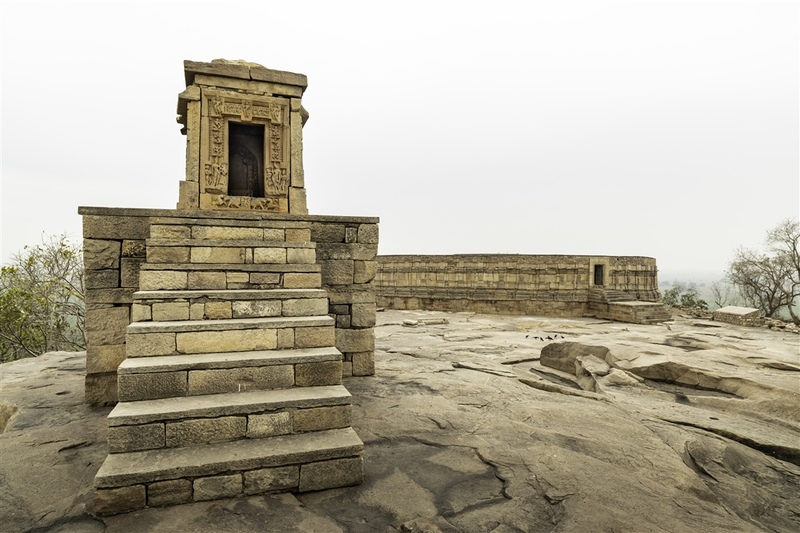 At the top, in addition to the main temple is a subsidiary shrine, a little unusual in being on a raised platform with nine steps leading up to the entrance. 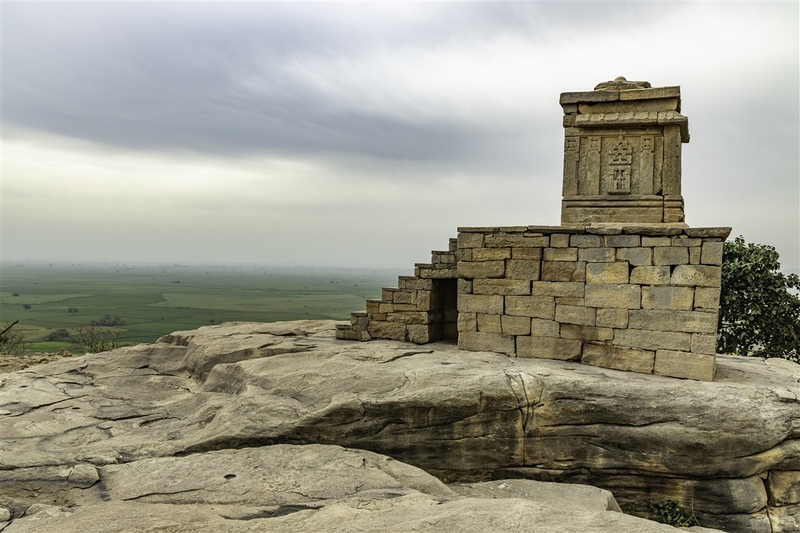 I wondered if this elevated smaller temple also acted as some sort of observation platform, as from the top the roof of the main Chausath Yogini temple falls just below the line of the horizon. So from this location you have a clear 360 degree view of the horizon, and of course an unobstructed view of the sky in all directions. 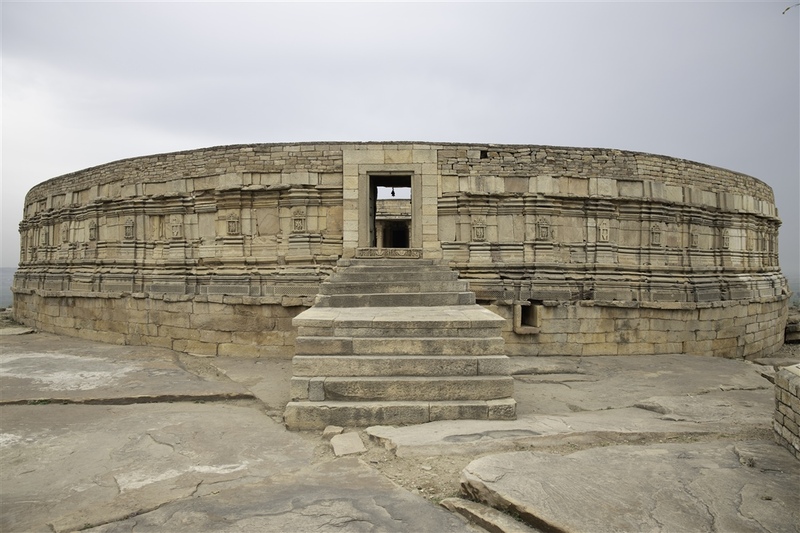 The main Chausath Yogini temple is circular in plan with a radius of just over 50m. 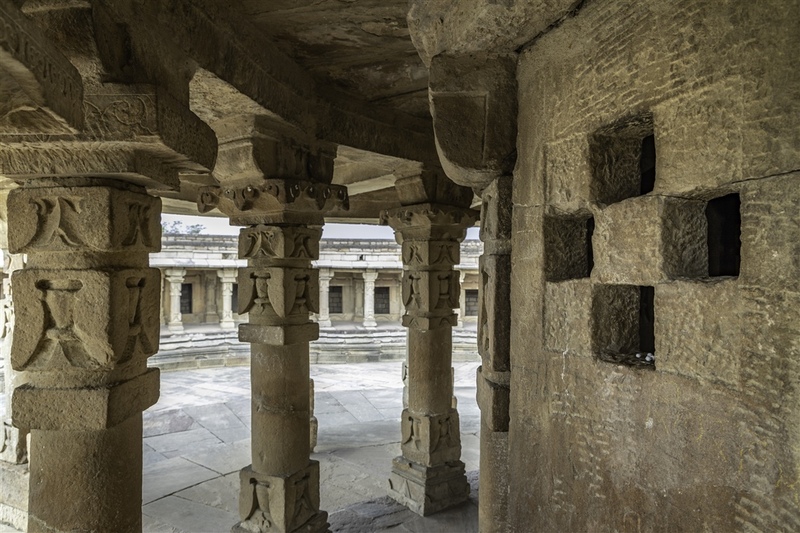 Inside, the outer circular wall has 64 (‘Chausath’ means “sixty-four”) small chambers each with an open mandapa with pilasters and pillars. 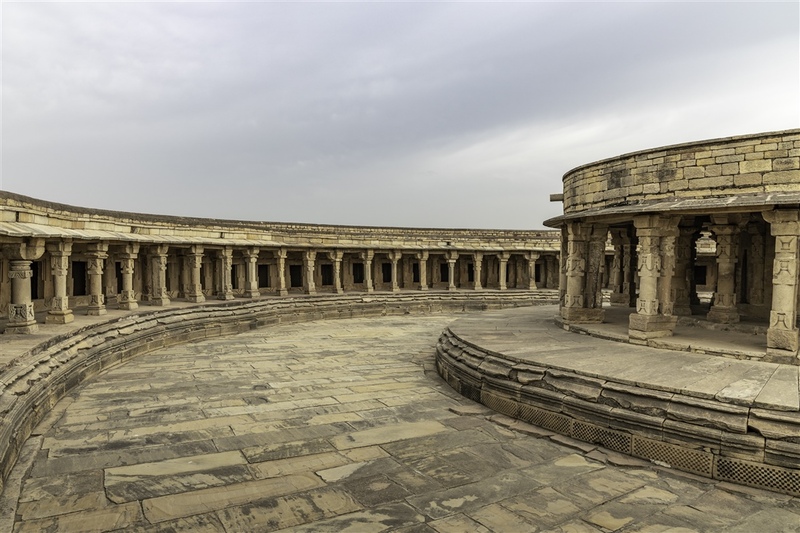 Set in the middle is another circular temple facing east. 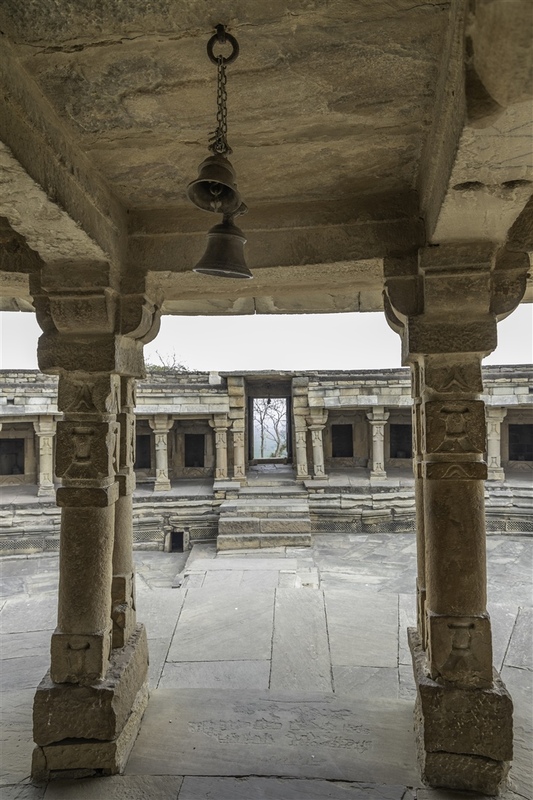 Both structures now have completely flat roofs although it is thought that in the past the 64 chambers and the central shrine had towers or shikharas. 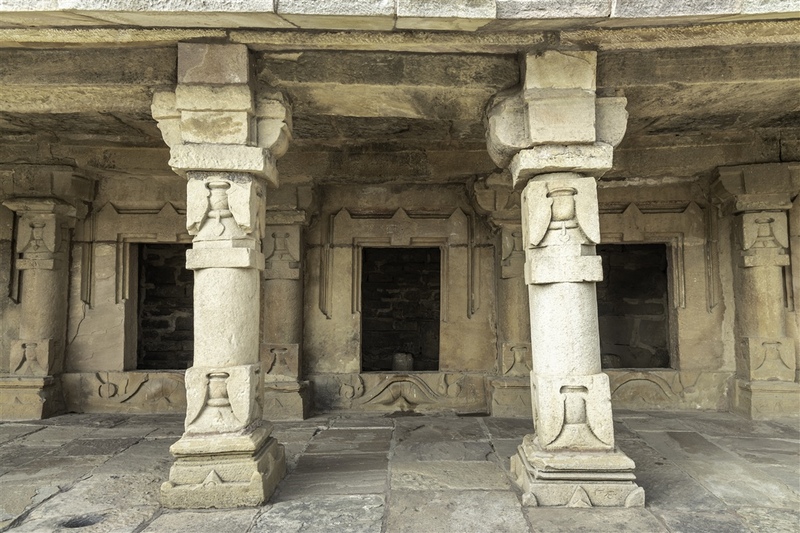 A covered passageway (verandah) supported by columns follows the inner circumference of the temple providing sheletered access to all 64 chambers, many of which now contain a Shiva linga. 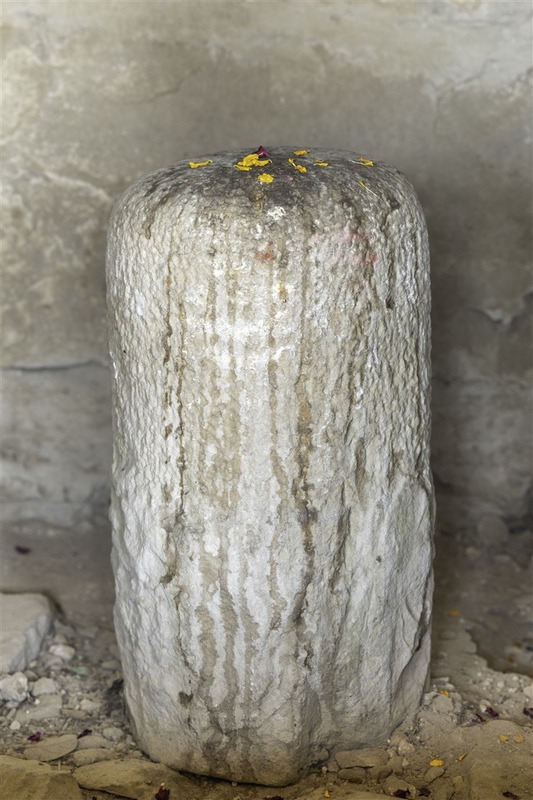 The central shrine also has a verandah around it, and likewise today contains a Shiva linga. 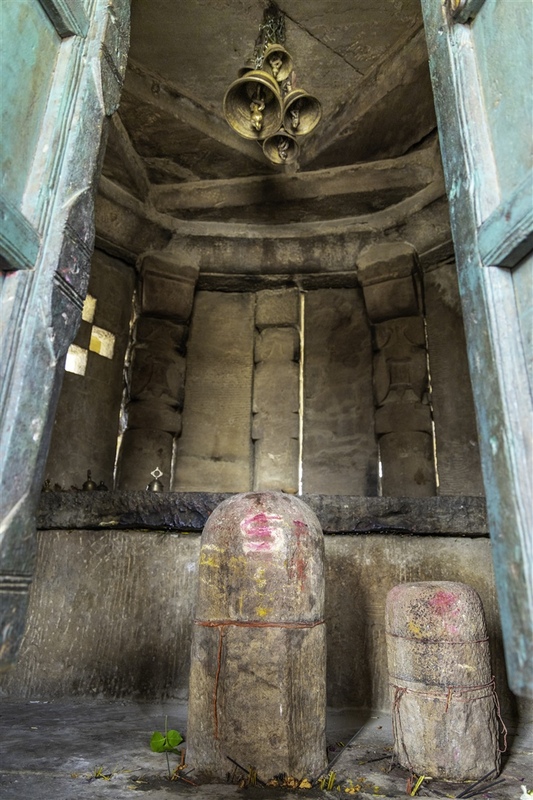 It has been said that all the rainwater that falls on the temple is collected through a complex drainage system down to a tank underneath the temple. I failed to find any evidence for that underground tank during my visit. 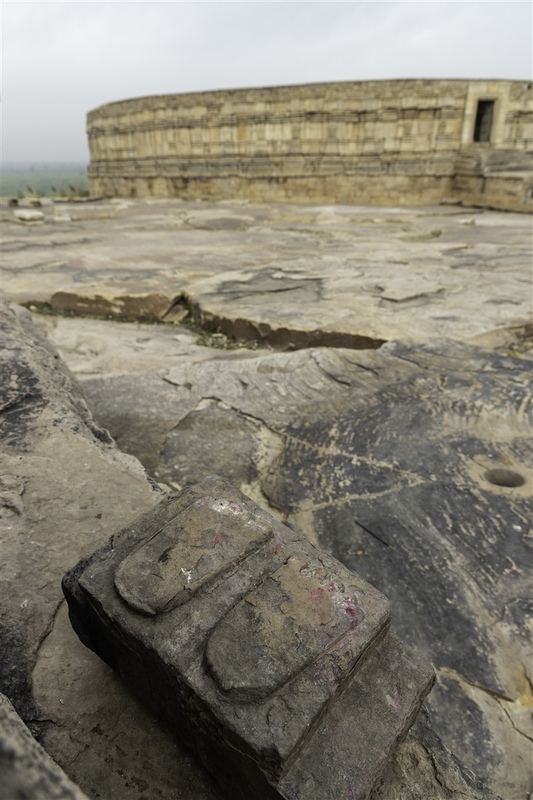 Apparantly, the Ekattarso Mahadeva Temple is in a Seismic Zone III region and has been subjected to a number of earthquakes over the centuries. 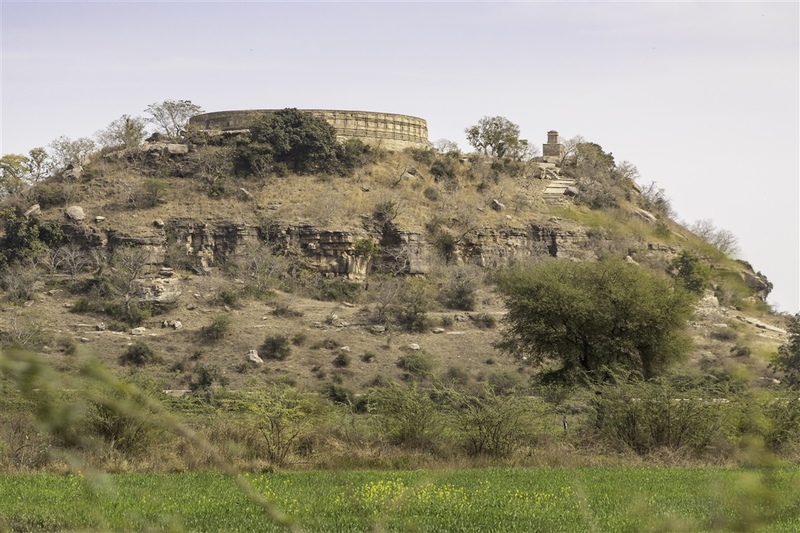 Being only a single storeyed structure and with a robust circular design, it has survived these events seemingly without any serious damage. 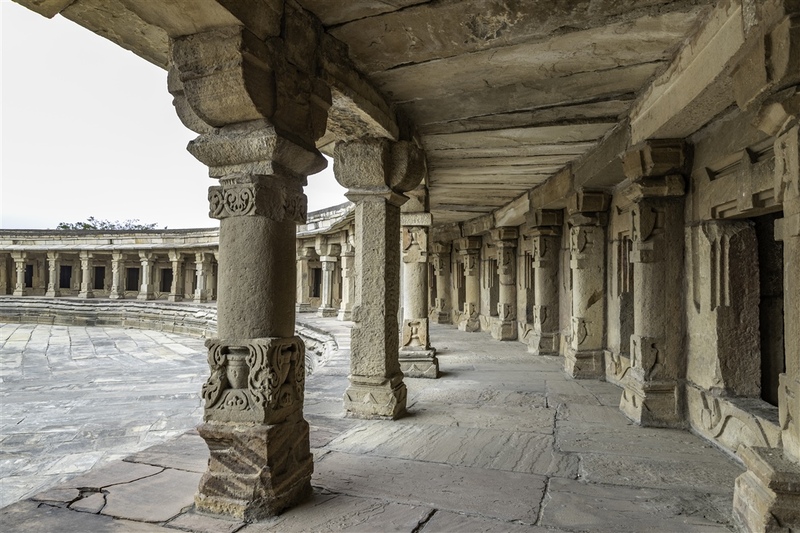 Many people have commented on the similarities between this temple and the Sansad Bhavan (Parliament House building) in Delhi, some going as far as to say the design of the 1920s structure was largely based or inspired by the Ekattarso Mahadeva Temple. 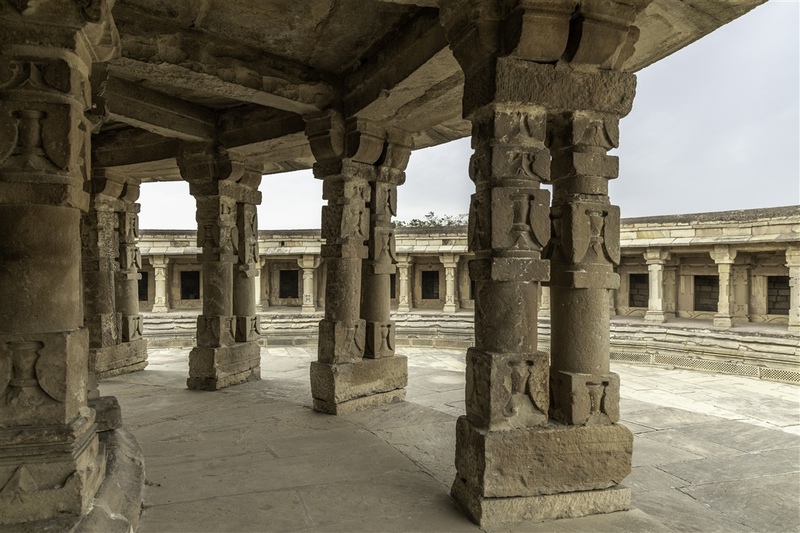 I’ve tried to find any shred of evidence to confirm this to be fact, you would think the architects (Sir Edwin Lutyens and Sir Herbert Baker) may have been keen to state inspiration from a 1,000 year old Hindu Temple. Unfortunately I have not found any such evidence, so I suspect this may be an urban myth. Ekattarso Mahadeva had been on my radar for a couple of years since popping up in my Facebook feed from a group I’m subscribed to. Hardly any of my many books on the archaeology, architecture and history of India make any reference to it, but awareness is now increasing. 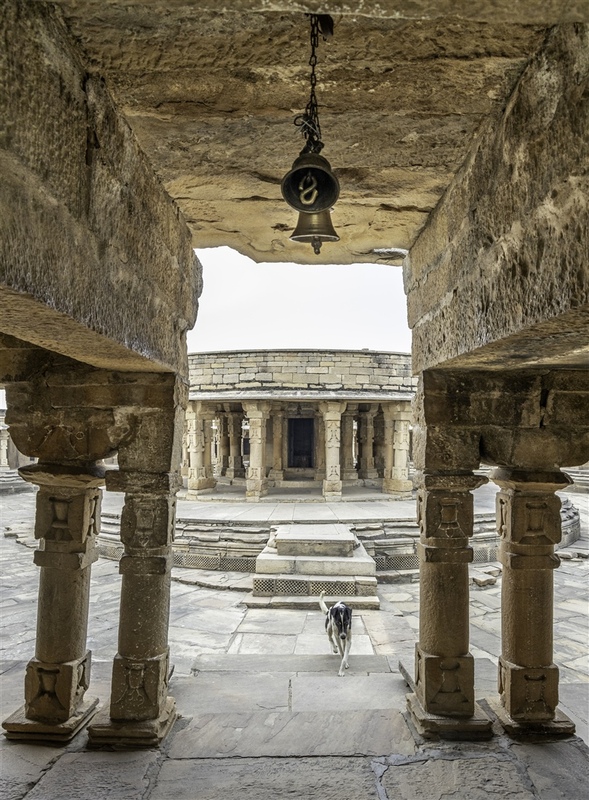 On my visit I had the temple entirely to myself for nearly an hour in the early morning until a small tour group from Pune arrived. 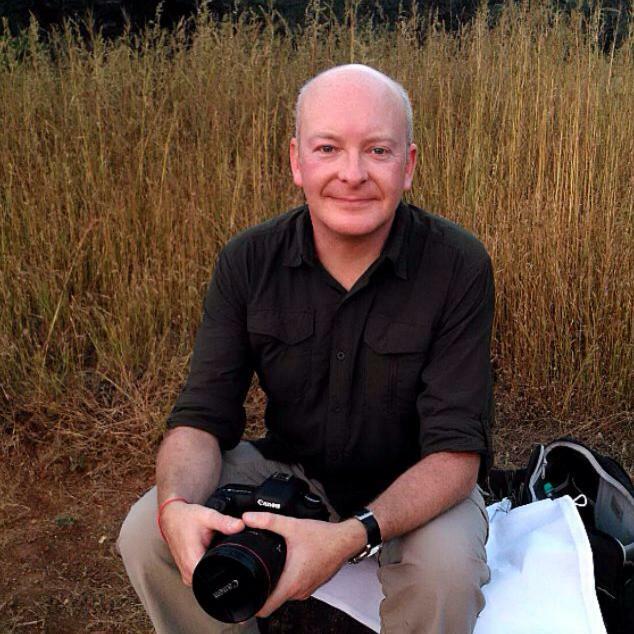 This place is incredibly special, and that feeling has immense personal depth for me. 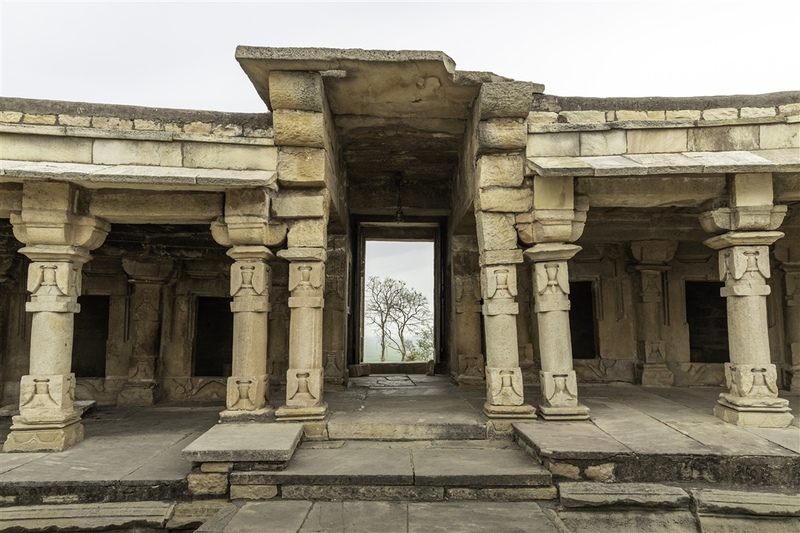 Not only is it architecturally a very rare building in India, but its location on the hilltop with literally nothing surrounding it is magical. 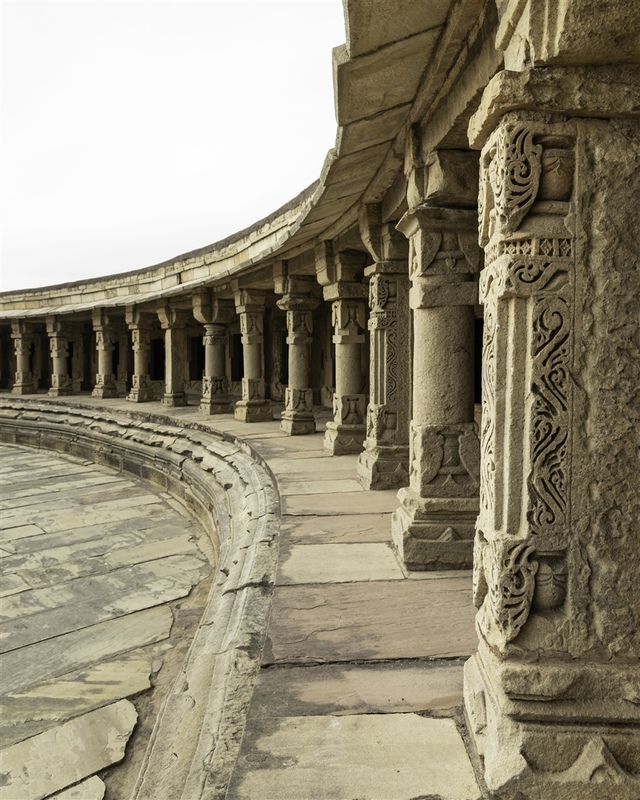 The pure simplicity and symmetry of the structure is mesmerising. But it goes far deeper than that, into feelings that I’m simply not capable of sufficiently articulating with words. 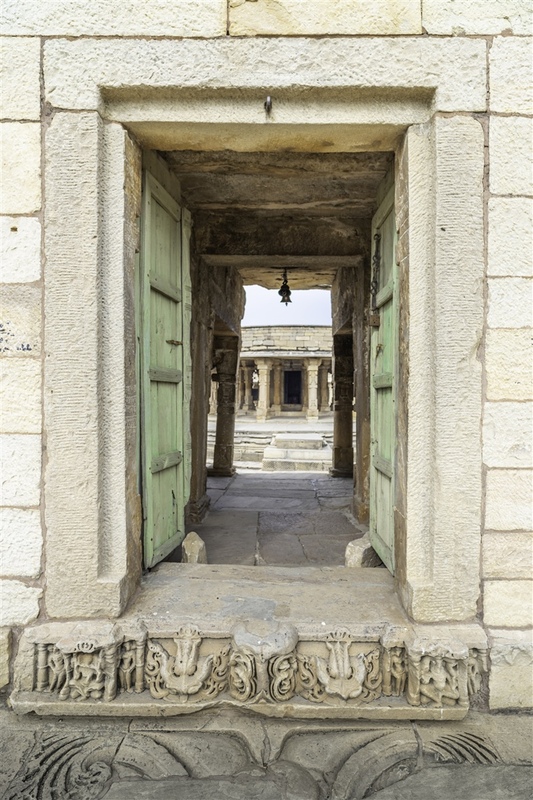 The quietness, the peacefulness, the stillness, and yes the spiritual connectivity that circulates around its walls – I left the temple in a very different state to the one I had when I arrived. 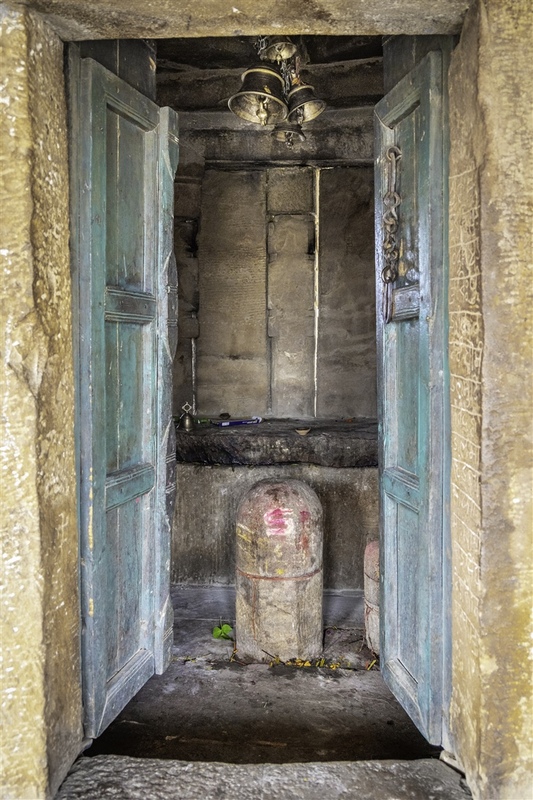 Of all the places I have visited in my 21 trips to India and documented in 350 blog posts, Ekattarso Mahadeva Temple is right up there as an unforgettable experience that one day I would very much like to repeat again. What a great place, and super photos as usual! Yeah I got, similar feeling about this building too just by looking at your pictures.As you said, it was there for teaching, so so long ago. Imagine what they must have learnt that is now lost, what views they must have had of the skies. Some places are just that, some give you glimpses into other ‘worlds’ and I feel this place is like that. Thanks again Kevin. 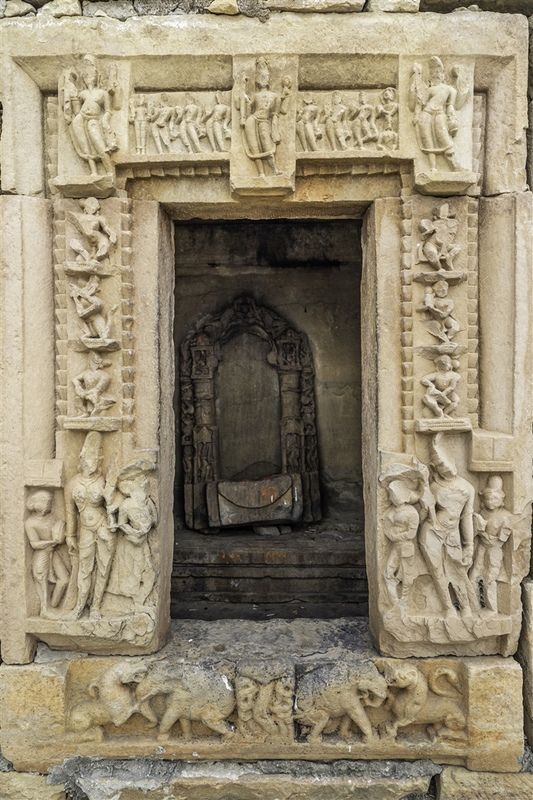 You will find this significant site mentioned in a number of key texts on Tantrism. This is an absolutely beautiful place. It’s sad that being an Indians i’ve never heard of any of these places. Well, now you do now about them 🙂 Don’t worry, it’s a vast country, you can’t get to know about all the historical places ! Wonder where all the Yoginis went? 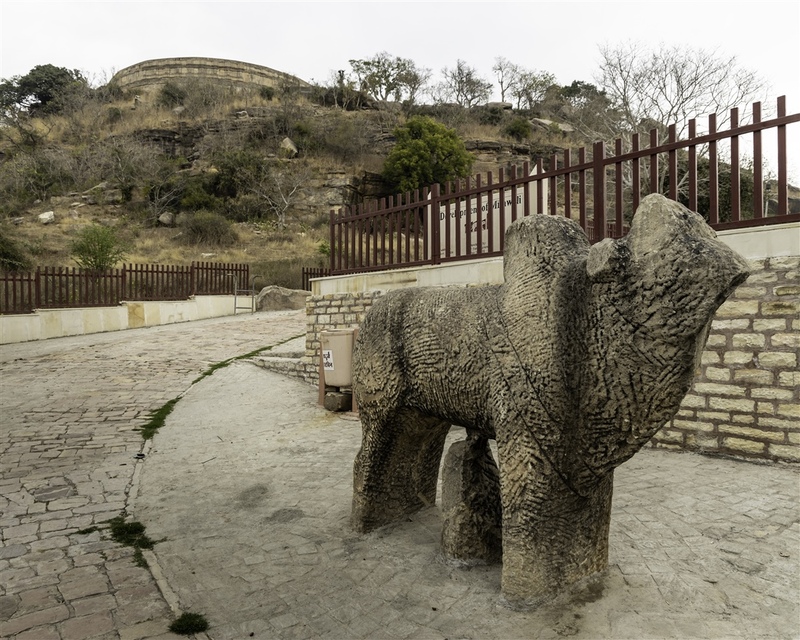 Do you think some in the Indian Museum may be from here?